Following a visit to this historic Abbey by Peter Drummond-Murray of Mastrick, Slains Pursuivant of Arms to the Earl of Errol, Lord High Constable of Scotland, it was suggested that given its rich history (The Abbey) should have its own Coat of Arms. 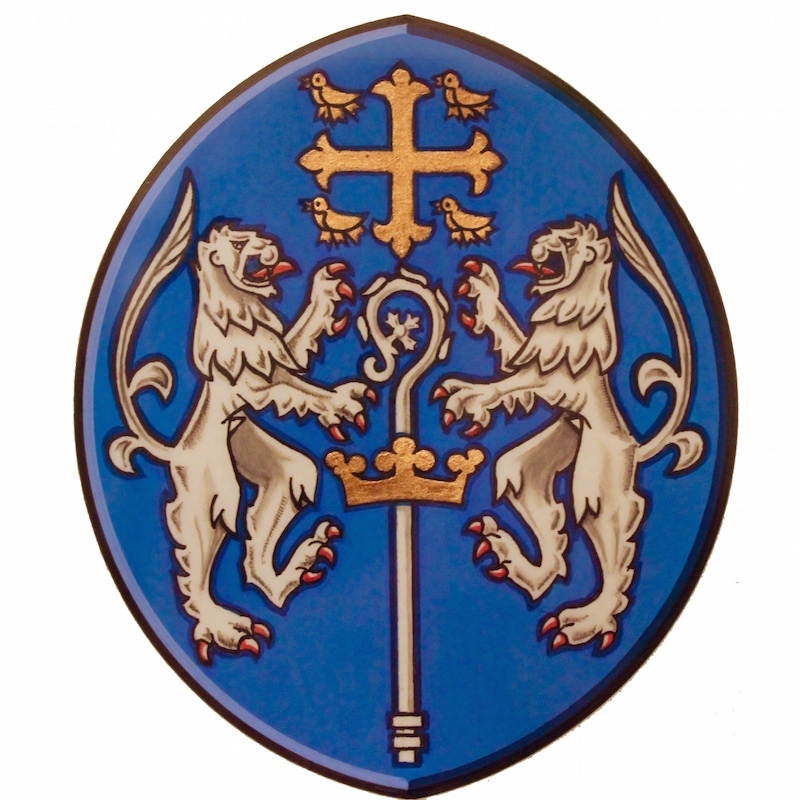 Dunfermline Abbey`s own Coat of Arms as formally recognised in Service of Celebration on Sunday 20th February 2005. Edward the Confessor`s Coat of Arms was a cross and martletts in gold against a background of blue. He died without a direct heir and his arms passed without a direct heir to his collateral Margaret, who subsequently became consort of Malcolm III of Scotland and settled here in Dunfermline. Since Dunfermline Abbey was founded by her it has the right to use her coat of arms. Following the due processes and given considerable work and help from the said Peter Drummond-Murray, Mark Dennis advocate and Dr James Floyd from the Heraldry Society of Scotland along with the advice from the Earl of Elgin and Kincardine. The Abbey`s request has been granted by the Lord Lyon King of Arms, thus we now have our own Coat of Arms granted in the name of the Minister and Kirk session of Dunfermline Abbey.